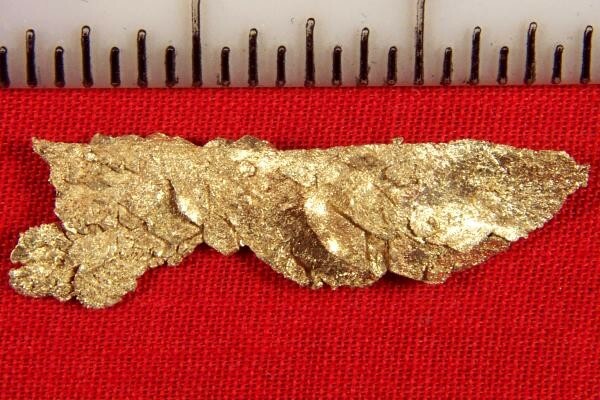 This huge crystalline plate gold nugget from Round Mtn Nevada is over 1.25" long. What a beautiful plate gold nugget. You can see octahedrons and trigons on the surface. It is called plate gold because it is formed into thin crystalline gold plates. It has a spectacular dendritic crystal formation and it weighs 21.8 Grains (1.41 Gram). 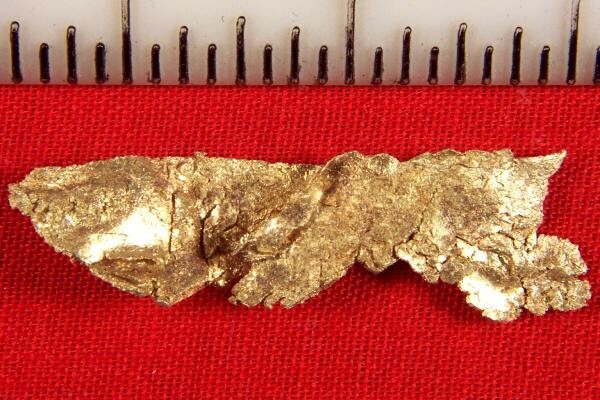 This very unique and rare crystalline gold nugget will make an amazing display in your gold collection.